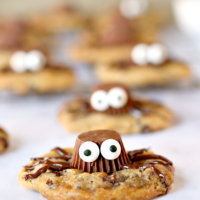 These Cute Spider Cookies are gluten-free and delicious! They are perfect for Halloween parties or fall gatherings. The great thing is they only take about 30 minutes to make from start to finish. Fall is here and that means Halloween is right around the corner! My kids love celebrating Halloween all month long. From decorating the house with spooky décor, to picking out the perfect costumes, to baking fun treats, they really enjoy getting into the spirit of the holiday. 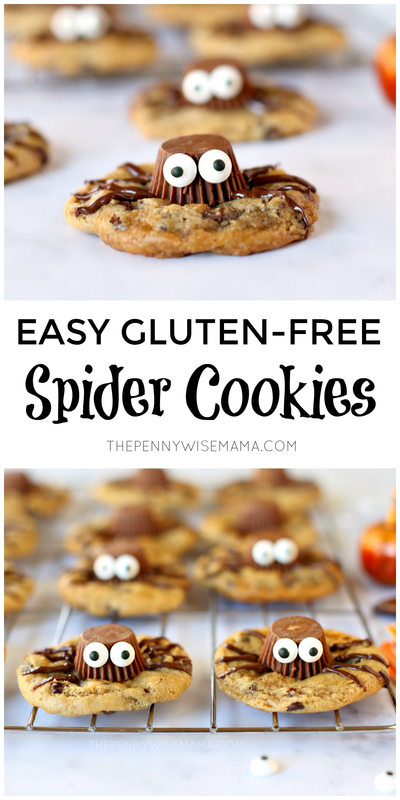 One of our favorite things to do together this time of year is make fun Halloween-themed treats like these Gluten-Free Spider Cookies. They are adorable and delicious, but I can’t take all the credit for them. I used Immaculate Baking Gluten Free Chocolate Chip Cookie Dough to make the cookies, which saved me so much time! I just discovered Immaculate Baking products and I am so glad that I did! The company offers a wide variety of certified organic, gluten free, and non-gmo baking products such as crescent rolls, cinnamon rolls, flaky biscuits, pie crust, cookie dough, cake mix, and more. I’m all about saving time in the kitchen, especially when it comes to making gluten-free recipes, so I was excited to find the Immaculate Baking Gluten-Free Cookie Dough at my local grocery store to help make these spider cookies. If you’re looking for a gluten-free Halloween treat that is quick and easy to prepare, these Spider Cookies are perfect! They only take about 30 minutes to make from start to finish. All you need is Immaculate Baking Gluten-Free Cookie Dough (I used chocolate chip, but any variety works), Reese’s Peanut Butter Cup Miniatures, chocolate chips, and candy eyeballs. Make sure you print this coupon to save on your Immaculate Baking purchase! Simply bake the cookie dough as directed on the package. 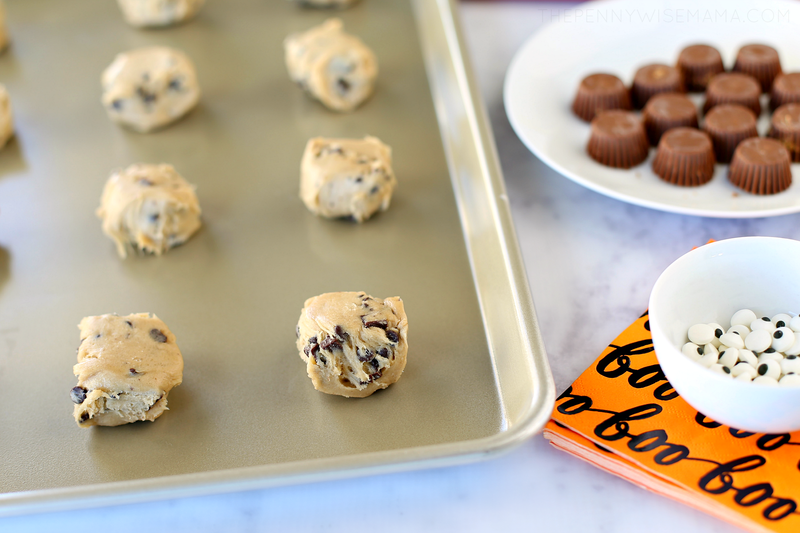 Remove from the oven and allow cookies to cool almost completely before placing a Reese’s peanut butter cup upside down on top of each cookie. You don’t want to place them on too soon or they will melt. 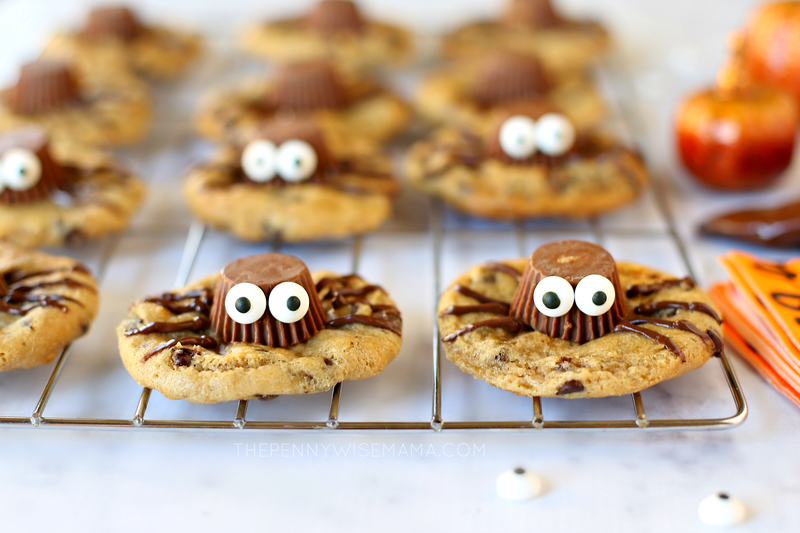 Using melted chocolate in a plastic piping bag, make spider legs on the sides of each peanut butter cup. If you don’t have a piping bag you can make one with a ziploc baggie. Simply microwave your chocolate chips in a baggie for 15-20 second increments until melted. Then push the chocolate into one corner of the bag and cut a small tip of the corner off. 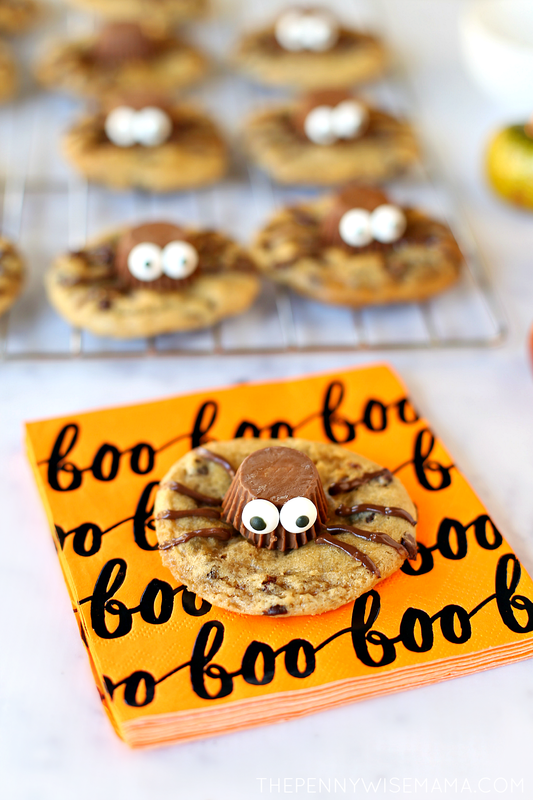 Finally, dab melted chocolate onto the backs of the candy eyeballs and stick to the front of the peanut butter cups to give the spiders eyes. Easy peasy and so cute! This recipe is so simple, thanks to the prepared cookie dough from Immaculate Baking, and it’s easy enough that you can get your kids involved in the fun. The best part is the cookies are delicious! 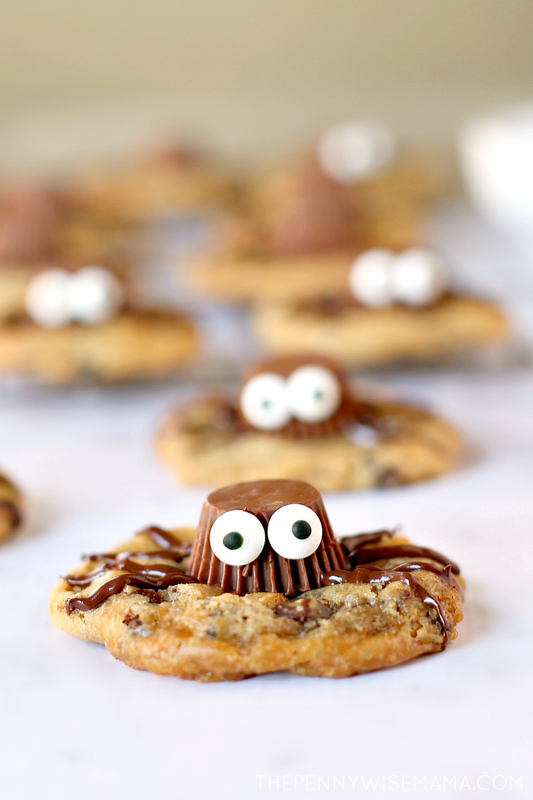 These Cute Spider Cookies are gluten-free and delicious! They are perfect for Halloween parties or fall gatherings. The great thing is they only take about 30 minutes to make from start to finish. Don't need gluten-free? Feel free to substitute with another variety of cookie dough! Bake cookie dough as directed on the package. 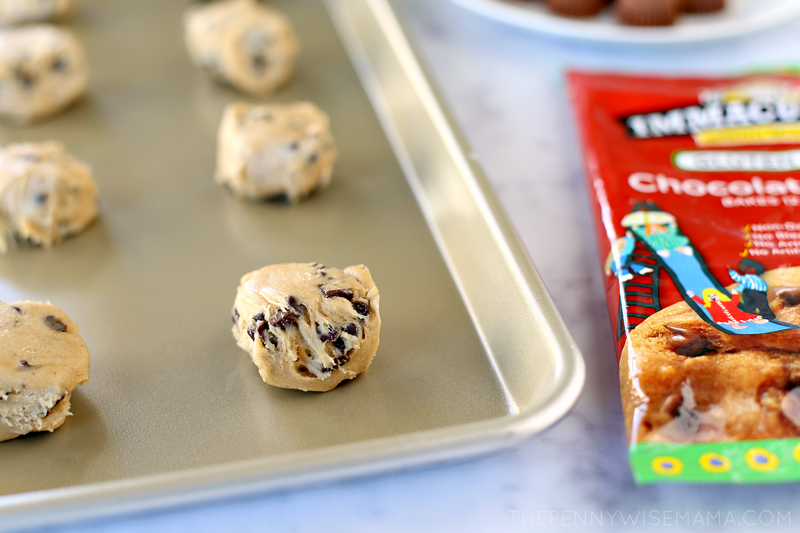 While cookies are baking, create a piping bag by microwaving chocolate chips in the corner of a plastic baggie for 15-20 second increments until melted. 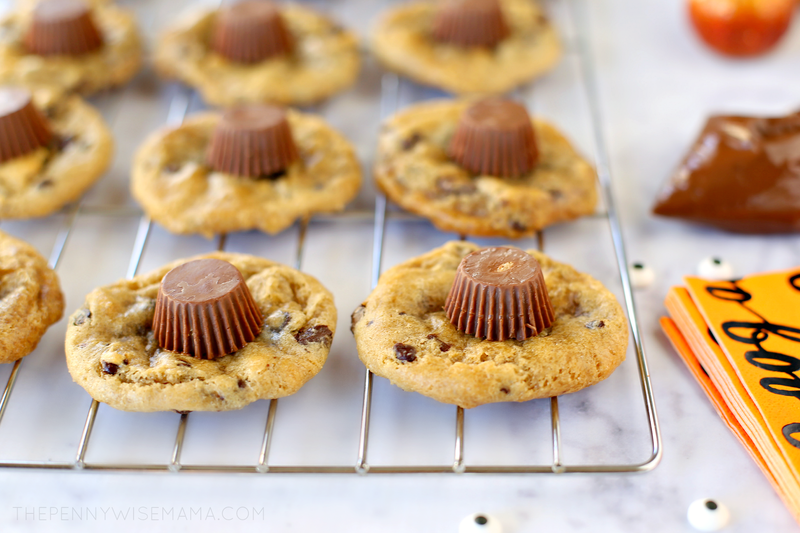 Remove cookies from oven and allow to cool almost completely before placing a peanut butter cup upside down on top of each cookie. You don't want to place them on too soon or they will melt. 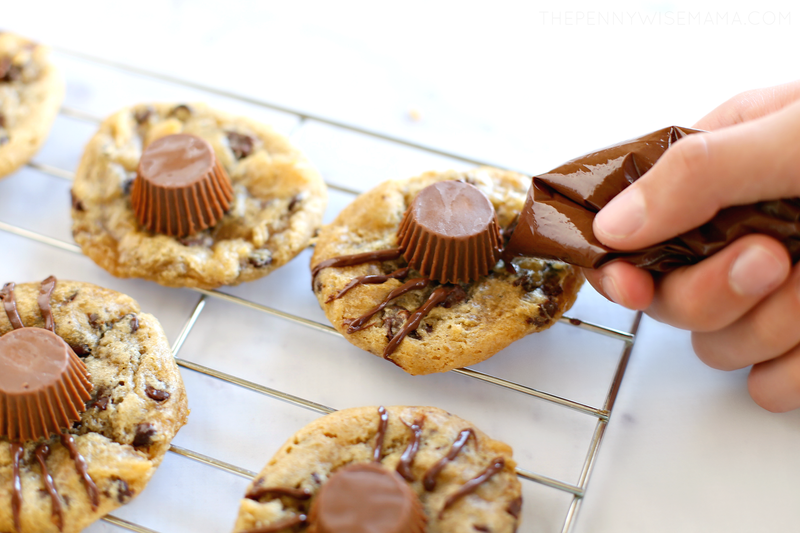 Using melted chocolate in a plastic piping bag, make spider legs on the sides of each peanut butter cup. 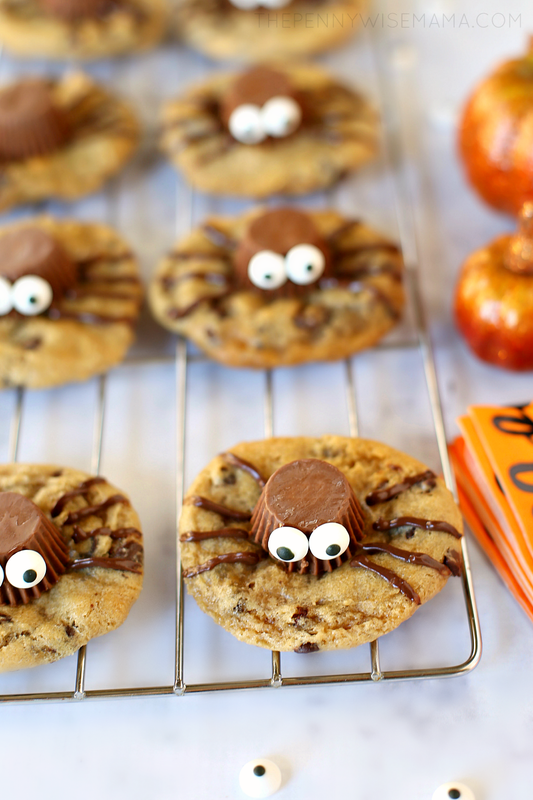 Dab melted chocolate onto the backs of the candy eyeballs and stick to the front of the peanut butter cups to give the spiders eyes. Enjoy! 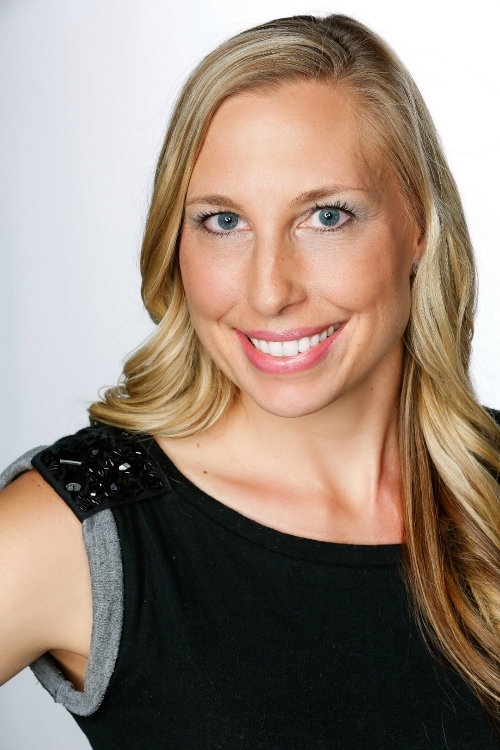 Don’t need your recipe to be gluten-free? No problem! 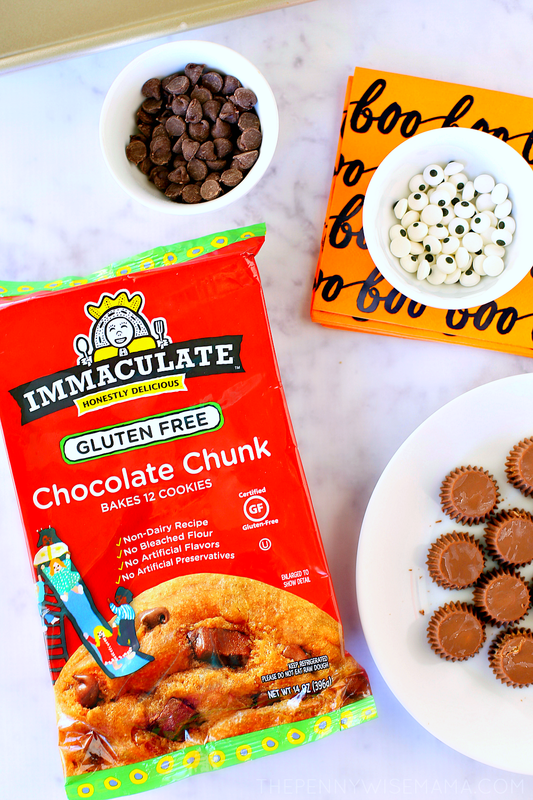 Immaculate Baking Company also offers Organic Cookie Dough in a variety of flavors. Use this product locator to find a retailer near you that carries Immaculate Baking products. Don’t forget to print this coupon to save on your Immaculate Baking purchase! It’s good for any Immaculate Baking product. I don’t need gluten-free, but these look good to me. Of course, I’d have all the peanut butter cups eaten off of them, lol. These cookies are adorable and look so delicious! These look super cute to eat & make. Thanks. These look so cute and super yummy!